The first thing anyone asks when it comes to new machines being released into the printer world is: “What’s new?” So we’ll start there. 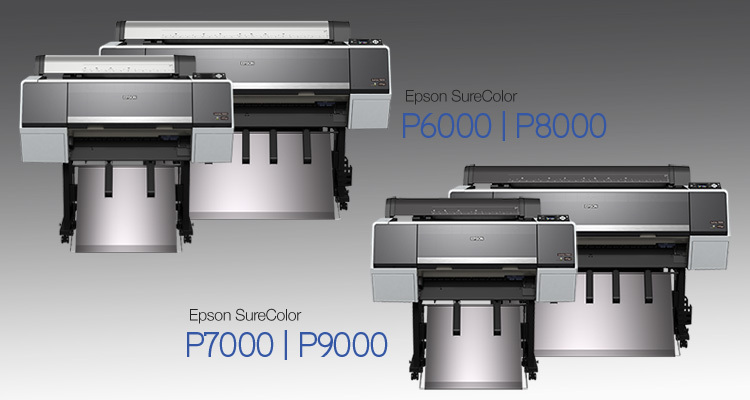 If you are moving up from a prior generation of Epson, the “new” depends on what model you are moving up from, of course, but for this review’s sake, we will stick to comparing the old Stylus Pro 7890, 7900, 9890, 9900 models to the new SureColor P-Series P6000, P7000, P8000, P9000 models. It’s been a while in the making, but this week Epson announced four new printers in its SureColor P-Series, which are the replacements for the Stylus Pro 7890, 7900, 9890 and 9900 printers. They will be available for shipping in October 2015. These new machines have been upgraded with all new reformulated ink, the UltraChrome HD (or HDX) for higher dMax, wider color gamut and increased print longevity.